On Sunday 4 September, 13 year-old Clarissa Mae from Lewisham was crowned 2016 Gigs Champion. 12 acts in two categories came together at the Grand Final to impress the industry judging panel in the hope they would walk away with the title. After winning the Youth category, Clarissa Mae was chosen as the overall champion ahead of 17 year old Cyreez from Hillingdon, who won the Soloists and Duos category. Gigs is the Mayor of London’s annual search for the best young musicians, showcasing some amazing talent and promoting skill development. This year saw some of London’s busiest locations treated to over 800 live performances, seen by one million Londoners and tourists. 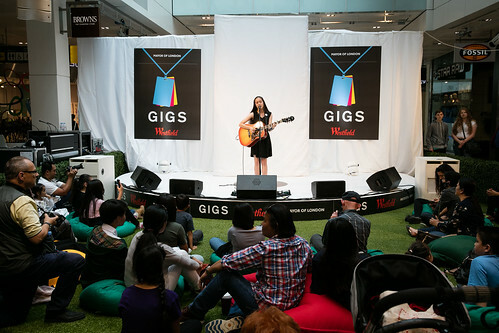 The final of the Gigs Songwriting Prize, sponsored by PRS for Music, was also held. Six songs were put through to the final and 25 year old Nicola Hogg's song Flow was chosen as the overall winner by PRS for Music Chairman and legendary songwriter, Guy Fletcher. She will now go on to play a set in the PRS VIP tent at Glastonbury 2017. 23 year old Luca Fiore, who lives in Hounslow, was awarded the Eurostar Prize and will take a busking day trip to Paris. Huge congratulations to Clarissa Mae and to everyone that took part in this year’s Gigs competition. This summer saw creativity and arts showcased on the streets of the capital thanks to these talented buskers. I am proud to support the next generation of young musicians and give them the chance to build their confidence and have their music heard.